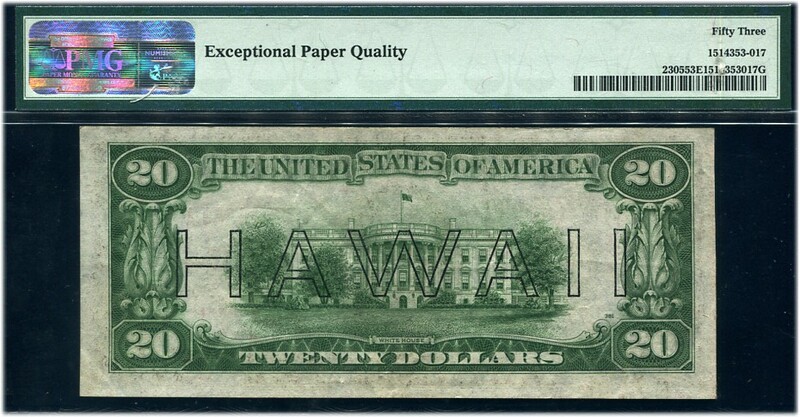 $20 1934A  HAWAII. F2305. PMG About Uncirculated 53EPQ. A lot of quality for small $$. 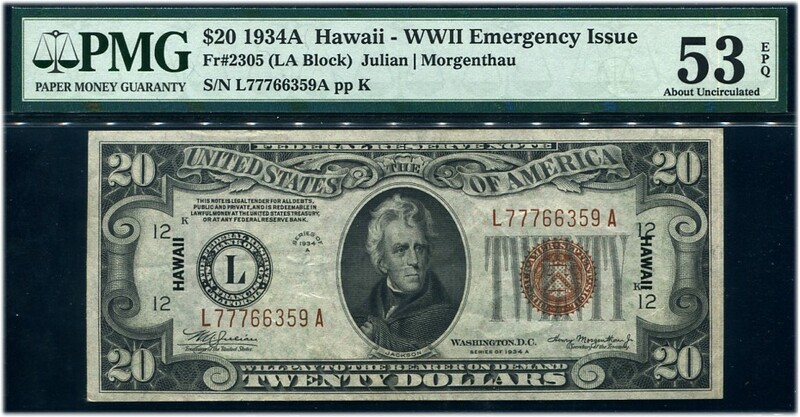 Serial L77766359A. $550.